Friday marked the conclusion of the Global Climate Action Summit (GCAS), a gathering of governments, companies, and other groups leading in climate ambition. 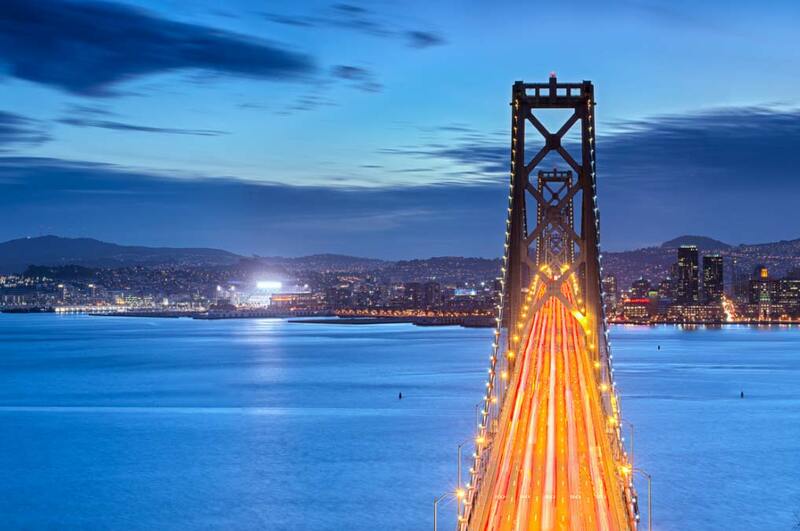 Convened by California Governor Jerry Brown, the San Francisco summit served as a platform for the unveiling of a range of new reports, announcements, and pledges. Where did cities or 100% renewable energy (RE) hit the map? We’ve got the highlights for you below. Greenhouse gas (GHG) emissions reductions don’t come easy. That’s why hard-fought progress on urban energy transitions must be celebrated. Thanks to a new report, we now know that a group of 27 cities in C40’s climate network have made significant strides forward. Home to 54 million people, the 27 cities include: Barcelona, Basel, Berlin, Boston, Chicago, Copenhagen, Heidelberg, London, Los Angeles, Madrid, Melbourne, Milan, Montréal, New Orleans, New York City, Oslo, Paris, Philadelphia, Portland, Rome, San Francisco, Stockholm, Sydney, Toronto, Vancouver, Warsaw, and Washington DC. Concrete results like this are very important to show that rapid progress on GHG emissions reduction is possible, and that measures to transform urban energy systems also come with a multitude of other social and economic benefits. #ZEVChallenge: 24 cities, regions, and states—from the Australian Capital Territory to Oxford to Québec to Santa Monica—have joined the #ZEVChallenge. This consortium aims to reach 100% zero emissions passenger transportation by 2050. Given the size of the economies involved, the adoption of the pledge is sure to send a powerful signal to the market. Deadline 2020: In partnership with C40’s Deadline 2020 program, 73 cities committed to, “…develop inclusive climate action plans to strengthen resilience and become carbon neutral by 2050.” However, it’s not clear how many of these pledges represent new commitments. Building momentum: Announced by the World Green Building Council, 22 cities and four states and regions have signed on to the Net Zero Carbon Buildings Commitment. The pledge calls for signatory governments to enact regulations, plans and policies to enable zero carbon buildings (new builds by 2030, existing by 2050). Powering Past Coal: The alliance, which seeks to phase out coal-fired electricity in entirety, saw ten new members jump on the bandwagon. Notably, these included a range of new states and regions but also several local governments, including Los Angeles and Rotterdam. Renewable ride-hailing: For its part, ride-hailing provider Lyft announced it would pursue complete carbon neutrality and support 100% renewable electricity (the provider has previously said it is aiming for 50 per cent shared trips by 2020). Corporate commitments: The RE100, whose membership base counts 400 private corporations committed to 100% renewable power, grew its roster in California. Last week, notables such as Sony and the Royal Bank of Scotland signed on to the group, which accounts for more than 180 terawatts of renewable power demand. 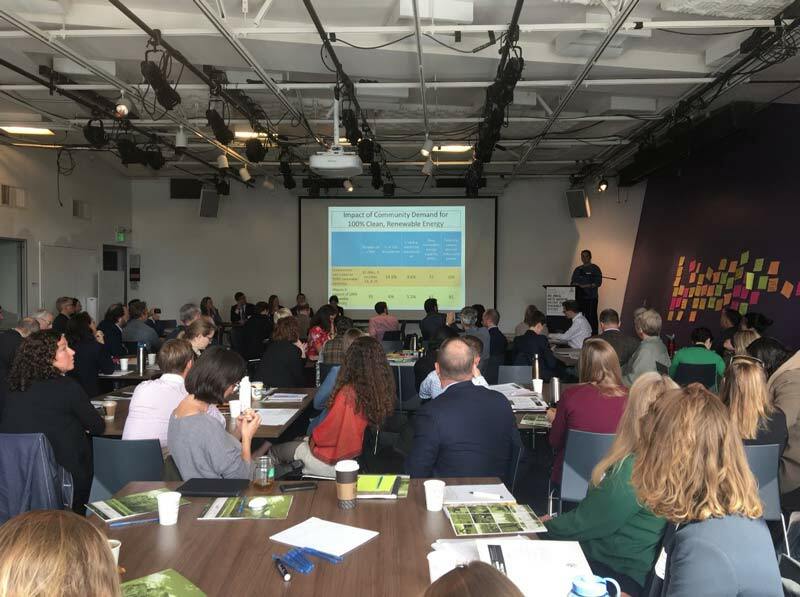 For the third time in three years, Renewables Cities and partners (GRID Alternatives, ICLEI USA, and the Sierra Club) convened a full-day workshop for local governments. The purpose of the event was to foster knowledge sharing and momentum towards achieving 100% renewable energy. With 82 U.S. and around six Canadian local governments committed to 100% renewable energy, a number of mayors and councillors (from Honolulu to Victoria to Santa Monica) were present. Breakout workshops included energy efficiency strategies, large-scale procurement of renewables, negotiating with utilities, and best practices to enable electric vehicles. The workshop was positive and encouraging, and conversations were focused on innovating new policy approaches towards 100% RE. There was wide-scale recognition of the accomplishments that local governments have made over the past year. We will be publishing a dialogue report from the dialogue later this fall. Subscribe to our mailing list to receive it. We would like to acknowledge Wells Fargo and Johnson Controls for supporting this workshop. The Global Climate Action Summit helped to celebrate wins, share best practices, and raise the bar for momentum on climate and energy. 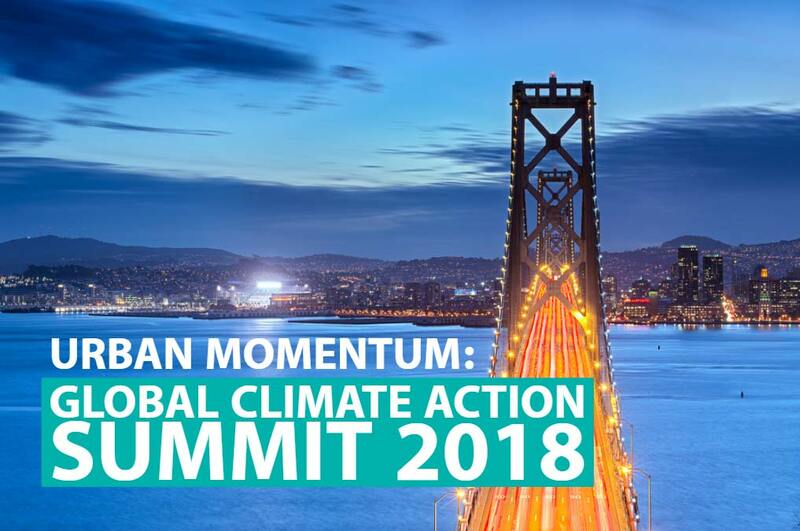 If anything, events like GCAS2018 have highlighted how central cities have become in global efforts to address climate change. However, even as progress on renewables and electric vehicles are being made, other sectors (namely thermal energy, land use, and to an extent, building energy efficiency) need to undergo rapid transformations in order for local governments to meet their climate and energy ambitions. For a full summary of the event, see this Global Climate Action Summit press release.